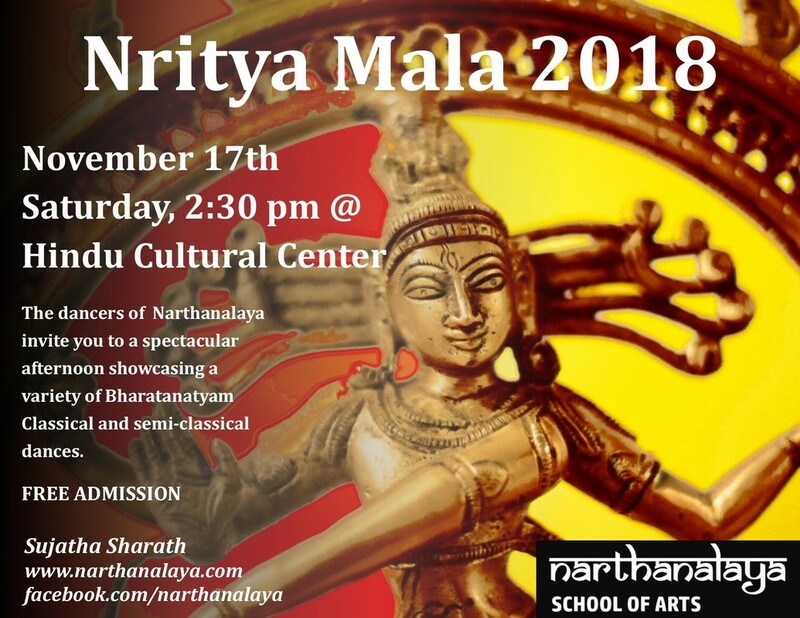 Narthanalaya is very excited to host this year's annual dance recital on November 18th. All the dancers are very excited to give their best for the event. We request everyone to grace the occasion and enjoy the afternoon. 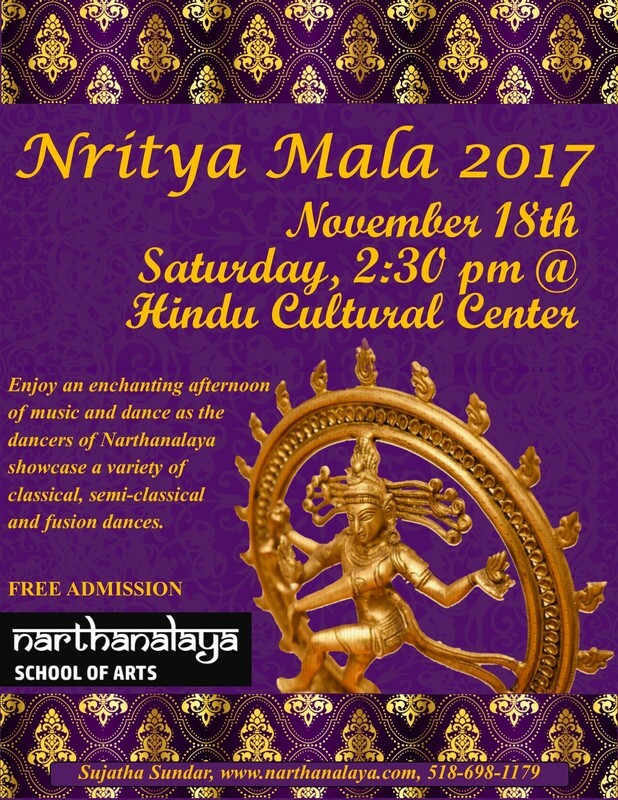 The dancers will be performing various classical and semi-classical Bharatanatyam dances.